Build flowerbeds at your heart content! 07 JUNE 06 - NEW FLOWERS AVAILABLE! Two additional sets of Flowers (Daisies and Pansies) has been created by MaryLou; you can download them HERE. 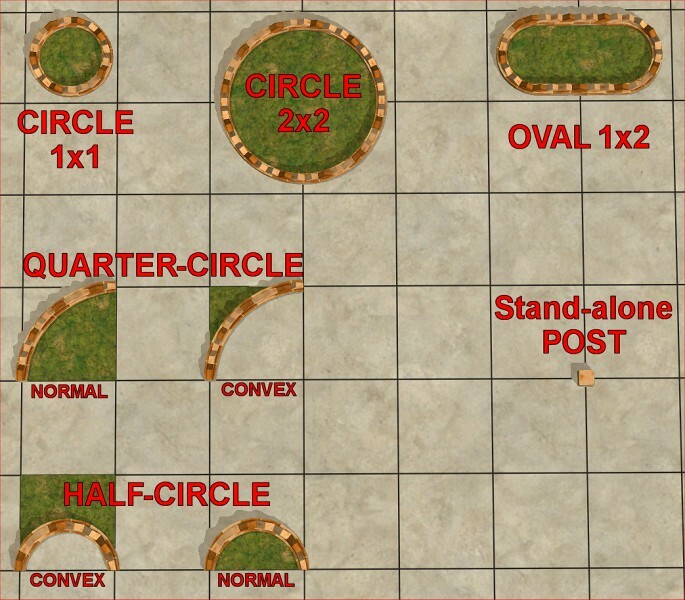 20 MAY 06 - UPDATED: Poppies for Quarter-Circle fence; now they are available in the base-game catalogue, too. Base-Game players, please redownload the archive "ModularFlowerbeds_Flowers.rar". IMPORTANT: the "Collections" must be put in "EA Games/The Sims 2/Collections", NOT in the Downloads! 20 MAY 06 - ADDED INFO about recolouring the poppies (sorry, I forgot them :p) ; read below, in the "How to create Recolours" section. Do you usually disregard landscaping, in your lots? Are you annoyed by all those sharp angles every time you try and build flowerbeds around your house? You have no more excuses! Building realistic and astonishing flowerbeds is now easy and funny, with the Modular Round Flowerbeds by MaryLou & Numenor! You can choose to install only some elements of this set, but in any case you must install the MaryLou-Numenor_Flowerbed_Mesh-Circle1x1.package, contained in the "meshes" RAR, because it's the "Repository" for all the recolours of the entire set. If you don't install it, or delete it from the Downloads, expect a lot of flashing blue fences! a stand-alone decorative fence post, that can be used over any of the mentioned pieces. 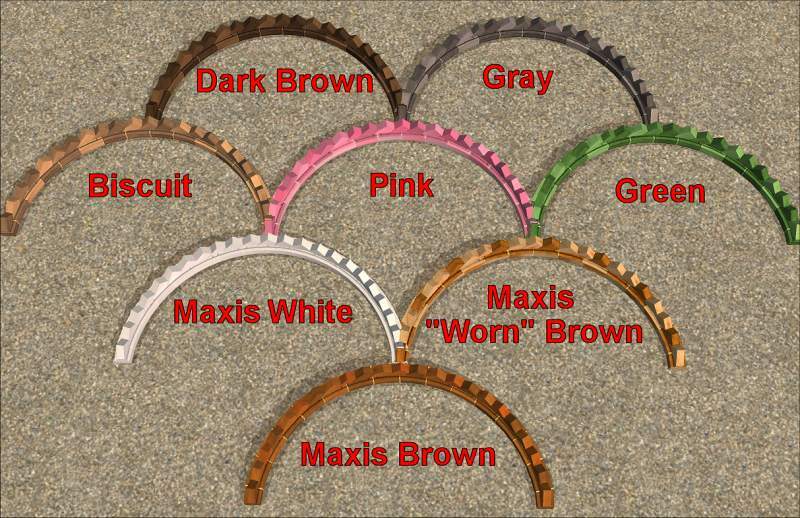 All the pieces listed above are shipped in the three Maxis colours for the "Zig-Jag" fence, i.e. Brown, Recycled Brown and White. The only ground colour provided with the base meshes is an "invisible recolour". Additional colours for the fences and the ground are provided in separate Recolour Packs (see below). In the archive ModularFlowerbeds_RecolourPack_Fences.rar you'll find 5 recolours for the fences: Biscuit, Dark Brown, Pink, Grey, Green. In order to provide the best integration with the Maxis straight fences, we have created special recolour packages that apply to both our modular fences and to Maxis fences: therefore, you'll find the same colour when you pick from the catalog a round fence, and when you lay down a Maxis straight fence. This means that if you delete a recolour for the modular fence, you will lose the same colour for the Maxis fence, as well. In the archive ModularFlowerbeds_RecolourPack_Grounds.rar you'll find 4 recolours for the ground: Gravel, Desert Dirt, Pined Grass, Green Grass. 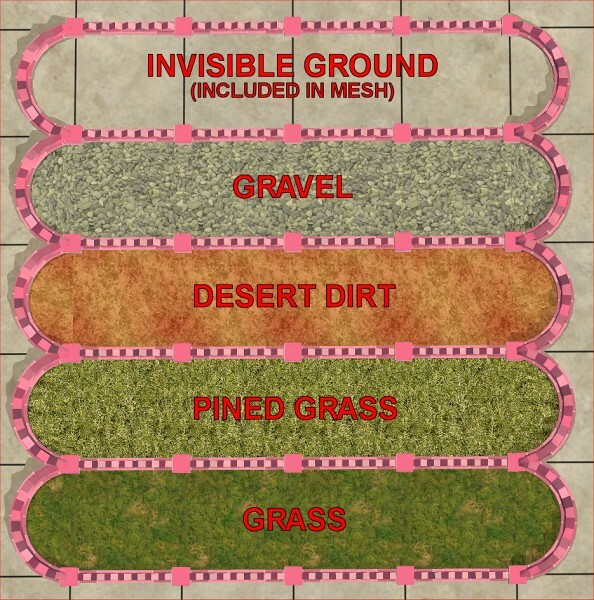 If you need to fill large flowerbeds with the same ground colour, you can use the special coordinated floor tiles, provided in the same 4 colours listed above. Again, we have created a recolour package in a unique format, that contains both the recolour for the ground and the coordinated floor tile: deleting one of them will cause the other one to disappear, too. 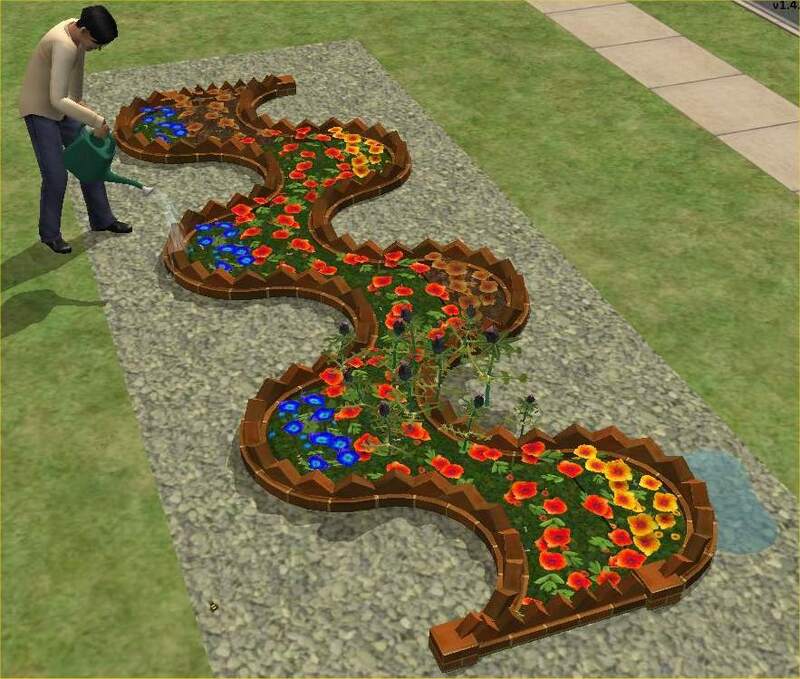 But Maxis flowers are arranged in square tiles (or half tiles), so we provide the needed flowers (poppies only...) arranged in all the shapes needed to match the Modular Flowerbeds. In the archive ModularFlowerbeds_Flowers.rar you'll find the Maxis poppies arranged in 7 different shapes, one for each type of Modular Flowerbed: in the screen above, you can see the three round flowerbeds (in red), the two quarter-circle fences (in yellow) and the two half-circle fences (in blue). Extract the packages from the rar archives and put them in the Downloads folder (use an archive program, or the Q-Xpress auto-installer). Recoloured Maxis straight fences, coordinated with the Modular ones: "Build Mode" catalogue - "Miscellaneous / Fences" sub-section. The Modular Flowerbeds can be places either on bare ground or on floor tiles: in this last case, we strongly suggest to "fill" the flowerbeds with flowers or with the provided "grounds". Please note that if you place the Flowerbeds on floor tiles, you can put plants in it only using the move_objects on cheat! On the other hand, if you place the Flowerbeds on the bare ground, you can use any "spray" terrain paint on it, and you can put plants, trees and shrubs without any cheat. As said, we have created a special, unique package format for our own recolours. Don't try to copy or clone our packages, in order to create your recolours, because it would cause conflicts and crashes. Modular fences: open Object Workshop, click "Open..." and select the file "MaryLou-Numenor_Flowerbed_Mesh-Circle1x1.package" (that is the Repository for the recolours); recolour either the "fence" or the "ground" subsets (following this tutorial, if needed), and your recolour will automatically apply to all the Modular Flowerbeds (NOT the Maxis fences, nor the floor tiles). Poppies: use Object Workshop as explained above, and create a recolour for the Maxis' "Papaver's Poppies" (Flowers - Outdoors - Poppies); your recolour will apply to both the Maxis poppies and to the Modular ones, automatically. Maxis straight fences: follow this tutorial in order to recolour the fence; be sure to check the option "Reference original Mesh" when following the tutorial. Floor Tiles: use the Home Crafter Plus. As usual, credits must be granted to Maxis for the original meshes that we have used for this set. 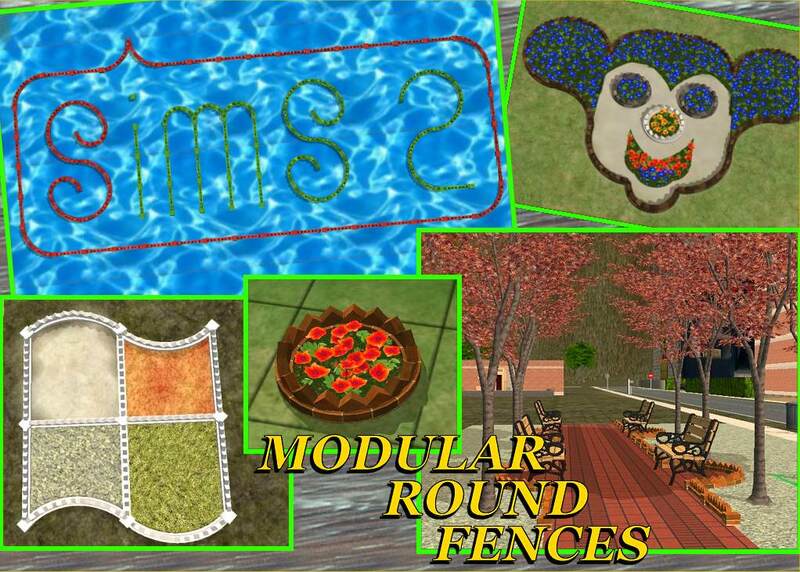 Obviously, the original meshes have been heavily reworked by the two of us Believe me: trying to create something that exactly matches an existing object (the Maxis fences and flowers) is *way* harder than create something starting from scratch! 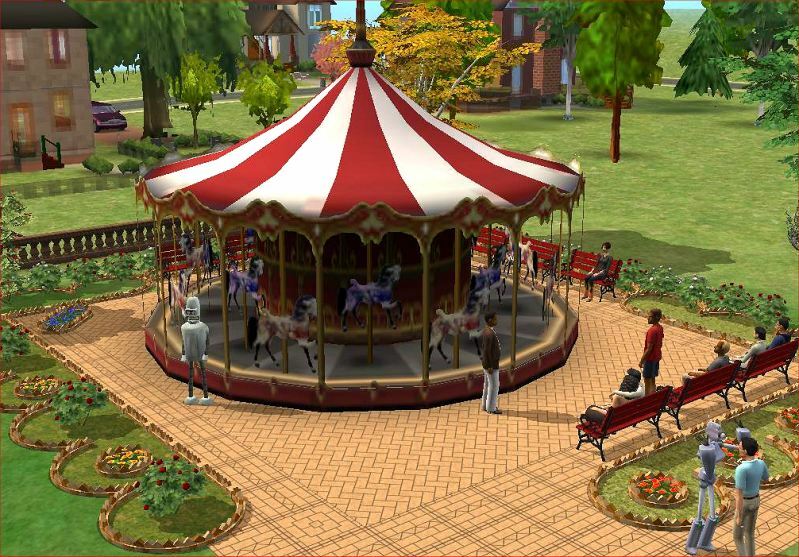 The Flowerbeds can be included in lots posted on free sites (NOT EXCHANGE!!! ), as long as credits are given to MaryLou & Numenor and a link to this page is provided. If anyone is interested in creating recolours, they can be posted anywhere (even paysites) but NOT INCLUDING the meshes: on the contrary, a link to the meshes on this page must be provided.